This turn-of-the-century one-room schoolhouse (Cleveland School) has been preserved and renovated including all new electric wiring and a new ceiling mounted propane heater. Scenic short drive from La CRosse for anyone who wants to get away from the city to a little piece of the country. Unique place to gather with friends and enjoy your hobbies- scrapbooking, quilting, card playing, woodworking, gardening or just relaxing. The lawn next to school house gets lots of sun so is a perfect space for a garden. Great location for a small business since it is on high traffic State Highway 33. 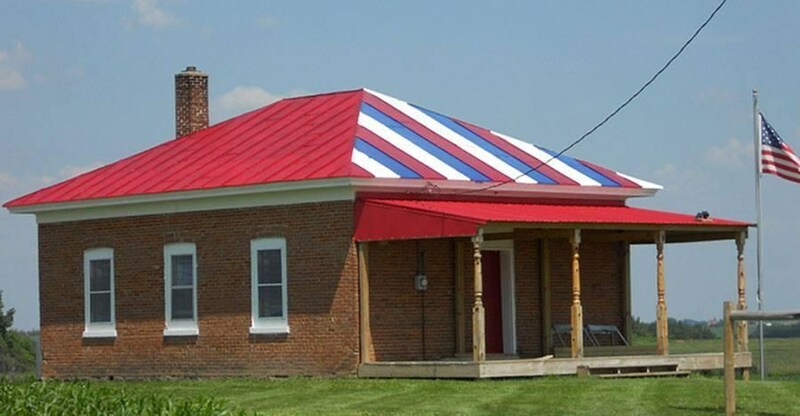 A previous owner had a successful resale shop in the schoolhouse. Current owner uses it as a man cave and woodworking shop.